SHANGHAI, China - With one of the last Masters 1000 tournaments of the year almost upon us in Shanghai, American No.1 Sam Querrey celebrates two milestones - this week he reached a brand new career-high ranking of No.15 in the world, and on Saturday he celebrates his 30th birthday. 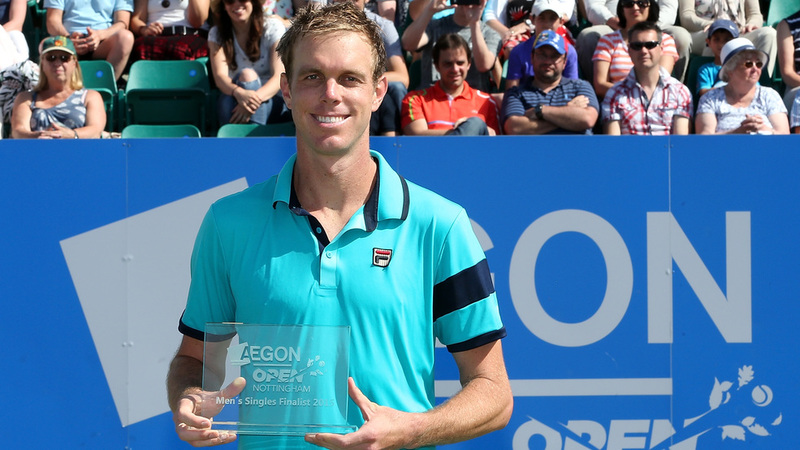 Having built some major momentum in 2016, starting the year at No.59 and finishing it at No.31, Querrey has kept that rise going in 2017, this week breaking into the Top 15 for the first time (and with no wins whatsoever to defend until the Australian Open, he might even break the Top 10 soon). He backed up that Wimbledon semifinal with a run to the US Open quarterfinals - he’s actually been to the quarterfinals of majors three times now, and all three of them have come in the last six majors. But his success in 2017 hasn’t been limited to the Grand Slam stage. He’s also picked up two ATP World Tour titles, both in Mexico at Acapulco and Los Cabos, and the title in Acapulco was particularly special - it’s an ATP World Tour 500 event, which is tied for the equal-biggest title of his career. The American No.1 could be on the verge of another milestone this fall as he’s currently within reach of qualifying for the Nitto ATP Finals for the first time in his career. He’s currently at No.10 in the Emirates ATP Race To London, and you need to be Top 8 to qualify, but two of the players ahead of him have already called an end to their seasons due to injury (Novak Djokovic and Stan Wawrinka). So the next few weeks could bring even more breakthroughs for Querrey - you can watch all of the action from the Shanghai Rolex Masters right here on Tennis Channel (check the listings here).